Attorney Francis X. “Frank” Cunningham, Sr.
Family & friends are invited to attend Visiting Hours on Friday, January 25th from 4:00 p.m. to 8:00 p.m., in the Vertuccio & Smith, Home for Funerals, 773 Broadway (Route 107) REVERE, for Attorney Francis X. “Frank” Cunningham, Sr., a Revere native and lifelong resident, who passed unexpectedly on Thursday, January 10th at the New England Baptist Hospital of Boston, after knee surgery. His funeral will be conducted from the funeral home on Saturday, January 26th at 10:00 a.m., followed by a Funeral Mass in the Immaculate Conception Church (Corner of Beach St. & Winthrop Ave.) REVERE at 11:00 a.m., and immediately followed by interment at Holy Cross Cemetery, Malden. Born & raised in Revere, he attended Immaculate Conception Grammar School & Immaculate Conception High School, graduating in 1947. A star student & class president, he was also an outstanding all-around athlete (basketball, baseball, captain of the football team, “All Catholic”), chairman of the Debating Society, and performer in school theatricals. Following high school, “Clem” Cunningham served as athletic coach in football & basketball for I.C. High (1950-53). He attended St. Michael’s College, Boston College (B.S. in Business Administration/Accounting, 1951), Boston College Law School, and New England School of Law/Portia Law School (LLB & Doctor of Jurisprudence, 1958). He was a U.S. Army veteran, serving from October 1953 to October 1955 in the Finance Corps. He was admitted to the Massachusetts Bar in November 1958 and worked as an auditor for the Commonwealth of Massachusetts & the U.S. Navy Audit office (1956-59). He worked in the private sector from 1959-70 as Corporate Director of Contracts at EPSCO Inc. of Westwood. Mr. Cunningham also provided vast pro bono & public interest legal work to his community in the late 1960s, founding and serving as board officer for Community Action Program of Revere, Inc. (CAPRI), Community Action Programs Inter-City, Inc. (CAPIC), YMCA of Revere & Winthrop, and the North Suffolk Legal Assistance Association. He also maintained a law practice from 1970-77, concentrating on basic law (preparing wills, conducting probate cases, etc.). He was retained by four different Revere mayors over three decades (1972-2002) to represent the City as Consultant Negotiator in labor relation negotiations. He was appointed Assistant Clerk Magistrate in the Boston Municipal Criminal Court in October of 1971, serving with undiminished commitment to excellence & justice for over 45 years, retiring in September of 2017 at 87 years of age. He was born to lifelong dedicated and generous parents, who helped found and build the Immaculate Conception Community Parish. He was Past President & lifelong member of the Holy Name Society, from 1965 until his death. He maintained a membership in the usher team at Immaculate Conception. 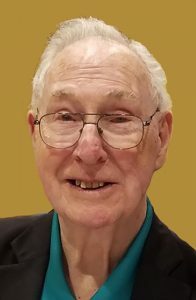 In the late 1950s thru 1960, he was an active committee member for the Convent Fund, and later worked within the board committee for the 100th celebration of the Parish and the establishment of the new church in 1990. Frank also held membership within the Revere Council Knights of Columbus, #179, from the late 1950s until his death. He held the office of Grand Knight (1964-1965) and served as Council Treasurer (1975-89). Frank was an avid world traveler committed to lifelong learning. After his children and grandchildren, he loved M&Ms, the New Bridge Café & Kelly’s Roast Beef. He is the cherished father to Susan Cunningham of Brookline; Francis X. “Buddy” Cunningham, Jr. & his wife Charlotte (Hoppe), of Chevy Chase, MD; Denise Cunningham & her partner Ellen Durkee, of Takoma Park, MD; Carolyn Simon of Sierra Madre, CA; Patrick J. Cunningham & his wife Debra (Segee), of Revere; Kevin M. Cunningham & his wife Lisa Gibalerio, of Belmont; Daniel P. Cunningham & his wife Mary Hennessey, of Takoma Park, MD; and Joan Cunningham & her husband John Condon, of Hawthorn, Victoria, Australia. He was the former husband to the late Evelyn Therese (Conway) Cunningham who passed April 27, 2015. He was the dear son to the late Patrick J. Cunningham & Celia “Cecilia” (Gavin) Cunningham. He is the devoted grandfather to Sean, Colin & Michael Cunningham; June & Lily Durkee; Parker Simon; Morgan, Madison & Mackenzie Cunningham; Benjamin, Julia & Christina Cunningham; Gabriel Cunningham & his wife, Amanda Morejon, and Dylan & Coleman Cunningham; and Grace & Olivia Condon. Beloved brother of the late John A. Cunningham, Dr. Leo P. Cunningham, Eileen C. “Sis” Corey, RN, Mary Theresa “Tess” Monagle, and Margaret Cunningham. Dear brother-in-law of the late William Vincent “Vinny” Monagle Sr. Lovingly survived by two sisters-in-law, Patricia “Pat” Cunningham & Betty Cunningham. Friday, January 25th from 4:00 p.m. to 8:00 p.m. In lieu of flowers, remembrances may be made to CAPIC, a non-profit 501(c)(3) organization he helped found over 50 years ago which continues to provide opportunities for low income individuals in Revere, Chelsea & Winthrop, by mail to CAPIC, 100 Everett Ave. Unit 14, Chelsea, MA 02150, ATTN: Robert Repucci. Please accept our sympathy on the passing of an awesome man. He has left a legacy that is admirable and should be an example to many others fortunate enough to have known him. Mr. Cunningham was a true gentleman! My parent’s enjoyed his friendship and being long time neighbors with him. You are in our thoughts and prayers. When someone you love becomes a memory, the memory becomes a treasure. May you always have fond memories. He was a wonderful man and I’m so thankful I got to meet him. RIP Frank.